Tabone Enterprises (Malta) Limited is an established importer and distributor of industrial and domestic extractor fans. Ranging from large metal heavy duty fans to small plastic bathroom fans, all our models are efficient, low noise and safe. They can be installed in walls, soffit ceilings or window panes. Whether for use in large warehouses or tiny ensuite bathrooms, our fans offer maximum air delivery and circulation. Check out our website for complete specifications and prices. 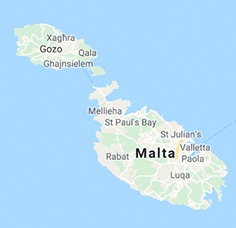 Tabone Enterprises (Malta) Limited, established in the early seventies, is an import and distribution company serving both the wholesale and retail sectors all over Malta and Gozo. Renowned for its very competitive prices and quality products, the company’s continuously expanding range includes: • Outdoor furniture in poly rattan, wood, aluminium and plastic; gas and charcoal BBQs; insect curtains and wooden blinds; as well as our very popular awnings and gazebos. • Household items in stainless steel and plastic for the bathroom and kitchen, including a wide range of wall clocks, laundry hampers, bins, basins, weighing scales, cookware and utensils. Other household items include mats, clothes airers and desk lamps. • Tools and hardware such as a large variety of energy saving lamps, led lamps, castor wheels, extractor fans, hand trucks, step ladders, torches, insect killers, electronic equipment, batteries and hand tools. Besides supplying the leisure industry with garden parasols, sun loungers and contract dining furniture, the company also stocks bathroom equipment such as automatic hand dryers, dispensers for soap, air freshener and toilet paper, as well as toilet assist bars. Follow Us on Facebook !